What have I understood wrongly? You have probably misunderstood what the sentence actually means. It means that only one, either $\pi$ bond or lone pair will participate in resonance if the atom has both. For example, in pyridine, the nitrogen has lone pair as well as is attached with a $\pi$ bond. While resonance, its $\pi$ bond participates in resonance because it (and not the lone pair) is in the plane perpendicular to the molecule. Observe that the lone pair remains at the place it is meaning it doesn't participate. Conclusion: The pair of electrons present in the orbital perpendicular to the plane of molecule participates in resonance if it is present. What's meant is that at a time for an atom only one lone pair will participate in resonance. Oxygen over here has three lone pairs but only one of them can participate in resonance since the other other two will be perpendicular to the $\pi$ orbitals of the carbons. Not the answer you're looking for? Browse other questions tagged organic-chemistry resonance or ask your own question. Do lone pairs on substituents (e.g. in aniline) count towards Hückel's rule? Which lone pairs/bonding pairs go into which pi molecular orbitals? 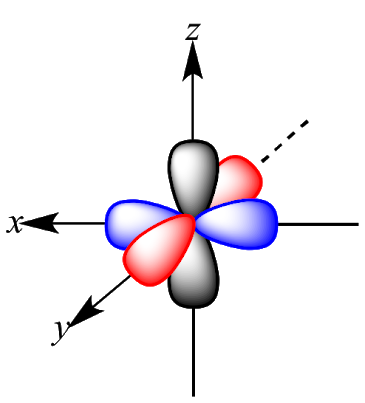 How to explain shape of molecules in penta and hexa coordination if hybridization involving d-orbitals (in main block) is considered incorrect? Understanding how electrons are counted for lone pairs vs. bonds especially when understanding resonance? 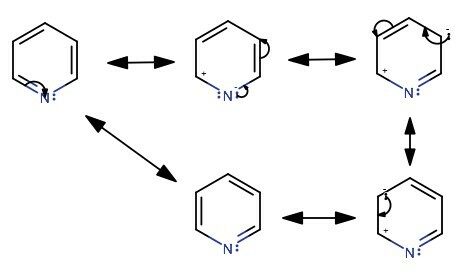 In the reversible reactions of acyl substitution, how do backward reactions happen by being against the forward reaction drives? Where do the lone pairs go in the “true” resonance structure?